A ROM, literally means Read Only Memory. However, it is referring to a phone's internal memory where all those apps and firmware are stored. The current versions are Sense 2.2/2.3 for the HTC devices and some build of Android 2.2 for the Samsung Android devices. These builds of Android are slightly modified with "bloatware" (Software force installed on the devices that cannot be removed). This software usually are ploys for the user to buy an overpriced version of software that already exists elsewhere. A funny example is that there was an AT&T Navigation Application that cost a one time fee of $9.95, but Google Navigation did the exact same thing for free (and it was already installed). So flash forward, I'm on the lookout for a customized ROM for my use. I tried a highly optimized version of Android 2.3, made by some users at XDA-Developers. The ROM was great and battery life was amazing. However, once again I needed more. I stumbled upon http://miuiandroid.com and began to read up on this MIUI Rom. It was a ROM that resembled that of an iPhone. I instantly took a chance with it. The ROM was amazing. The speed, the battery life, and the customizable theme manager blew me away. Then the updates. Every Friday the company Xiaomi (Company that makes MIUI), releases an update. They haven't missed an update yet, and I've been using the ROM for 12 weeks. I could delve into various reasons why I use this ROM, but its best for you to look over the sites and decide for yourself. There is one downside. Once you use MIUI, you can never use another ROM. They just aren't at the same level as MIUI, and it feels like downgrading when switching. 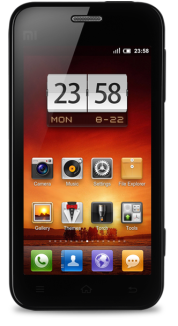 Once on MIUI, you will always be a MIUI user.